Sorry for the later post today, I'm a little behind because I spent the weekend at the Wisconsin writers conference and was so pooped last night after three days of intensive listening and giddy inspiration (see my last post if you want to hear me being silly-giddy). Also, my internet has been going very sloooowly this morning. I attribute it to the incredible wind storm we had last night in Madison, Wisconsin (where I'm currently at). This week has been awe-some for weather, and I mean that in the classical sense, rather than the "awesome, dude" sense. Saturday night we had a fantastical thunder and lightening storm, with the type of lightening that streaks through the air and turns the whole sky purple and thunder that practically shook our apartment (which is a little frightening, we're on the 7th floor - top floor - of a building!!). 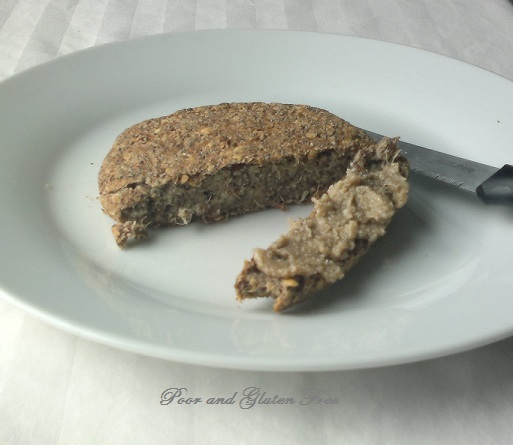 Sooo....on a more uplifting note, I have a recipe here for seed and nut butter. 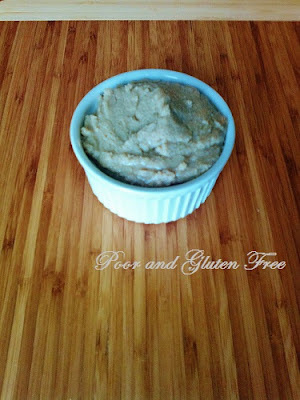 For those who are allergic to peanut butter or who want an easy and cheap way to make a yummy spread at home, this is a great option. I use sunflower seed butter (a.k.a sunbutter) here as an example, but it works essentially the same for most seeds and nuts, so feel free to experiment! If you have Oral Allergy Syndrome, you may want to be careful with this one, as many people with OAS have problems with sunflower seeds. I can eat this, but only in small amounts, otherwise my tongue starts to itch and feel like sandpaper! You could try using cashews, flax seed or hemp seeds instead. Ingredients: For approximately 1 cup of butter. 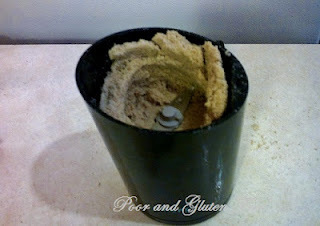 There are two ways you can go about this – coffee/spice grinder or food processor. If you don’t use a food processor, you will have to add a bit more oil to the paste to make a smoother butter. You may want to put your grinder in the freezer about half an hour ahead of time to keep the little motor from overheating. If the grinder gets hot as you work, stop and let it cool down, otherwise it will overheat and cause the oils in the seeds to become rancid. For more on grinding, see this post on grinding. 1. Grind the sunflower seeds into a powder using a coffee /spice grinder. You will likely have to do this in a few small batches. 2. Continue grinding until the seeds release their oils and begin to clump. 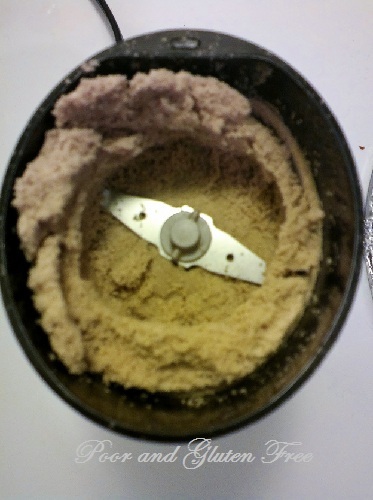 Remove from grinder into a mixing bowl and repeat with the remaining seeds. 3. In the bowl, drizzle oil one teaspoon at a time and beat rapidly. The longer you mix this, the more of the natural oils of the seeds will be released and the less olive or coconut oil you will need. Partway through, add a pinch of salt and sweetener (sugar, agave, honey, etc) to taste . Once the desired consistency is achieved, you’re done! * Consistency is individual - if you like your butter chunkier and harder, use less oil. If you want it smoother, use more. Just keep in mind that the butter will harden slightly in the fridge, so make it a wee bit smoother than you actually want it. The directions are essentially the same as for the grinder, but you can do this all in one batch. 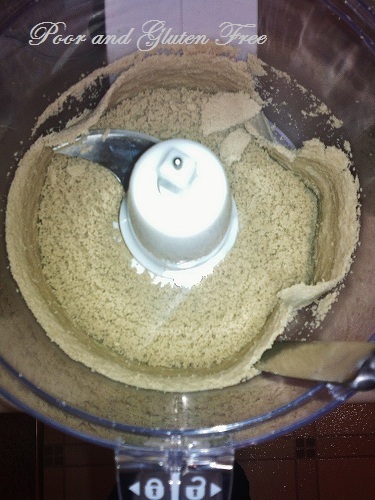 Grind the seeds into a powder, then whirl in the food processor until it turns in to a paste. This can take about 10 minutes on and off of grinding (make sure you give your processor a break by letting it cool down periodically. If it gets hot it can cause the oils in the butter to go rancid). During this process, you can add oil by the teaspoon, a pinch of salt and sweetener of choice. I usually end up using about 1 Tbsp. oil in total. I like mine a little sweeter, so I use about 1 Tbsp of honey as well. Depending on the nuts or seeds you use, you may find that they require more or less oil. I personally haven’t experimented with other nuts (I’m allergic to them, of course ) but I’d love to hear your experiences. You could also jazz this up and make flavoured butters, like maple syrup and cinnamon, coconut, vanilla, pumpkin pie, chocolate, or anything else you can dream up! I’d love to hear your ideas on how you might flavour your nut and seed butter. I'd also love to hear if you’ve tried a great flavoured butter! *OAS Info: Note that sunflower seeds are amongst the foods that people with OAS can react to. You may want to substitute another type of seed or nut you know is safe for you to eat if you have any problems with sunflower seeds. Try cashews, flax or hemp seeds instead. Danielle, this is a great share! I have read several posts on making your own, but I haven't tried sunflower seeds as of yet. Fortunately, my daughter was never a huge fan of peanut butter, so having to remove it from her diet wasn't a big deal. But occasionally, she likes to put it on her celery sticks ☺ I'll have to give this one a try! Thanks for participating this week in our recipe hop! Yum. I really want to try this with sunflower seeds! 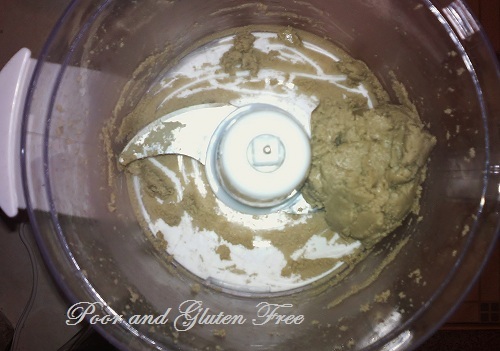 I love making my own nut butters...it is so easy, and often much cheaper! Lately I have been making a lot of coconut butter and sunflower seed butter! Thanks for sharing with us on AFW again!